Steve and Karen Wickham (center) put on six-week seminars about nutrition and exercise and have had many participants reduce or even eliminate the need for medication to control their Type 2 diabetes. The Wickhams' program, Grundy Reversing Diabetes Seminars, involves a deep dive into the science of how the body breaks down sugar. Steve Wickham draws blood from a participant in order to test A1C levels. Steve Wickham opens the door to the retirement home he and Karen built in Grundy County, holding a stack of diabetes books. The Wickhams have since sold this house in order to focus on their diabetes reversal program. Grundy County, Tennessee, has a long list of public health challenges. Many are based on geography and culture. And type 2 diabetes is one of the mountainous community's biggest problems. It's a diagnosis associated with obesity and family history. It's been considered practically incurable. But some Grundy County residents are now putting conventional wisdom to the test. Chains, saws and old logging equipment litter the back field at the family farm of Wendy Norris near the county seat of Altamont. They're relics from when health didn't hold her back from felling hardwoods. "I was 9 months pregnant, me and my husband stayed about 10 or 15 miles in the middle of nowhere in a tent for a long time," Norris says. Those adventures are just a memory now. A few years ago, as this Grundy County native turned 40, her feet started going numb. She thought it was from standing all day. "But it wasn't," she says. "It was that neuropathy, where my [blood] sugar was high and I didn't know it." 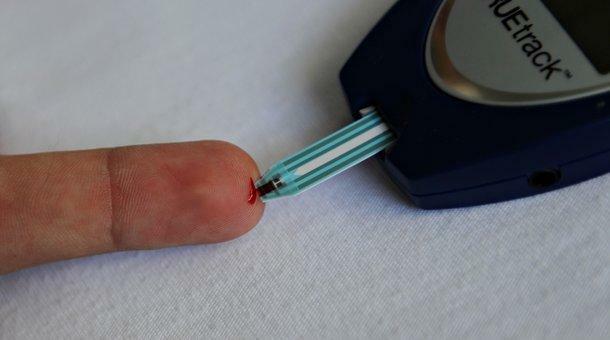 Norris had developed Type 2 diabetes, which is generally preventable and usually develops in adulthood, whereas Type 1 is typically — though not always — discovered in childhood. Diabetes disease runs in her family. Her relatively active lifestyle was no match for a diet overloaded with sodas, sweets and TV dinners. So her doctor put her on insulin shots and told her to watch what she ate. Wendy Norris of Grundy County has been able to cut her daily insulin dosage by more than 75 percent after changing her diet and increasing exercise. "You're sitting there thinking, 'Well, what does that mean?'" The doctor just kept upping her insulin. But when she lost her health insurance, the injectable medicine was costing her hundreds of dollars a month she didn't have. At the nonprofit Beersheba Springs Medical Clinic, she was introduced to a burgeoning alternative — reversing her diagnosis altogether. In an old church parsonage near the clinic, Karen Wickham ladels out lentel stew as the handful of participants arrive. She and her husband Steve are a couple of white-haired, semi-retired nurses who have dedicated their lives to diabetes reversal by offering six-week seminars to Type 2 patients like Norris, who also brought along her father and daughter. "It's our purpose," Karen says. "Our purpose in life is to try to help make a difference, first in our community." The Wickhams go deep with slide presentations on the difference between sucrose and glucose, and get scientific about why foods like potatoes spike blood sugar and sweet potatoes don't. They preach eating as much fiber as a stomach can stand and dropping almost any kind of sweetened beverage. Then they demonstrate ways to burn all those calories. On one evening, Steve invents the "Beersheba Boogie" on the spot, asking participants to raise their knees and pump their fists in place. They'll need to find a way to get active at home because there's no gym anywhere close. There's not a proper grocery store anywhere close either, so the healthy cooking is a real chore. It all says a lot about the state of rural health in America. But people are overcoming the institutional obstacles. "Her blood sugar is going down. Give her a hand," Steve says as participants share their stats. Steve can come off a bit like he's hosting an infomercial at times. But he's a true believer. The Wickhams are on a mission, compelled by their Christian faith as Seventh Day Adventists — a denomination known for a focus on health. "I think God holds us responsible for living in the middle of this people and doing nothing," he says. 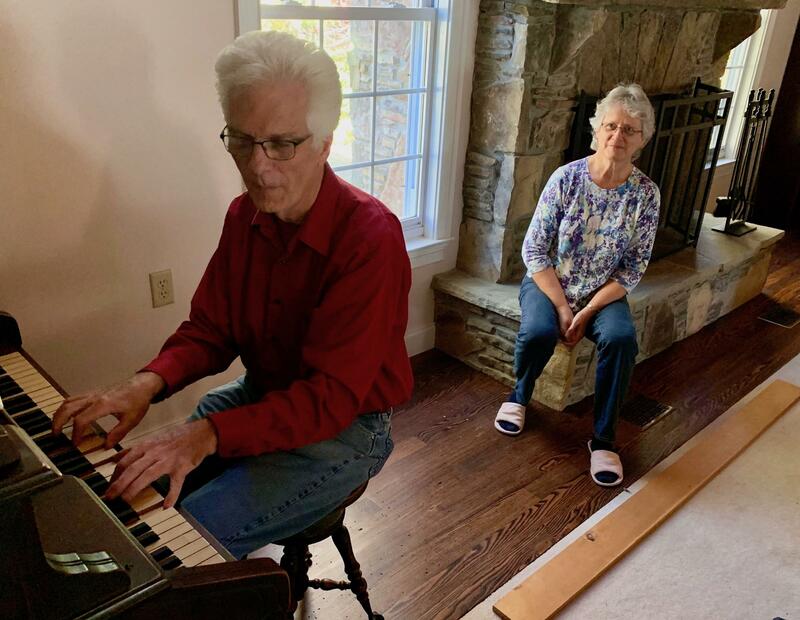 Steve Wickham plays an antique pump organ as his wife Karen sings a hymn in their recently-sold Grundy County home. The two say they are on a mission from God to help Type 2 diabetics reduce their dependence on medication. They moved to Grundy County to take care of ailing parents and built their dream home, filling it with their collection of church instruments. They also planted vast orchards, vegetable gardens and berry patches to satisfy their vegetarian diet, common among Seventh Day members. But in their mountain retreat, they were disturbed by a national health ranking in their midst. Grundy is the least healthy county in Tennessee, by one annual measure. The county of 13,000 people has the shortest life expectancy in the state and an elevated rate of diabetes (16 percent of adults), which can eventually result in blindness, kidney failure or even amputations. 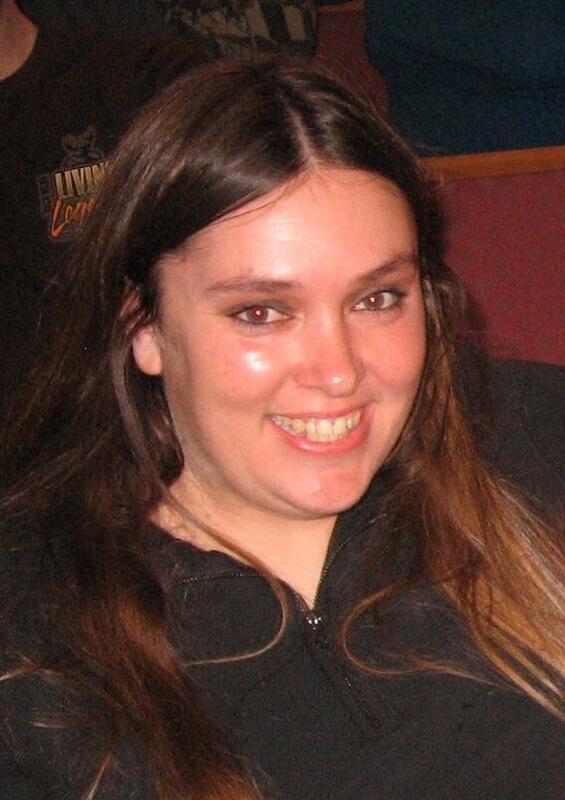 "I had taken care of diabetic patients for so long, and I knew the progression," Karen says. "If you truly want the people to get better, you have treat it with lifestyle interventions." Living a healthy life is an obvious answer. It's just that healthy eating and regular exercise are hard to keep up. "Nobody, actually, will make all of the lifestyle changes that we recommend," Steve says. "But if you're making the kind of choices that lead you to a healthier lifestyle, then you get better." Steve and Karen give the disclaimer that everyone needs to consult their physician and acknowledge that their seminars are not yet "evidence-based" and backed by peer-reviewed scientific literature. It's one of the reasons they can't get government grants to fund their program. If a patient wishes to aim for remission of Type 2 diabetes, particularly within six years of diagnosis, evidence-based weight management programs are often successful. The Wickhams also reference studies from respected researchers like Dr. Roy Taylor of Newcastle University. "There just hasn't been the information about the possibility of reversing diabetes," Taylor says. Most studies do show Type 2 diabetes marches in pretty much one direction. But Taylor says those studies also involve people who continue to put on weight, which is typical among diabetics. "Doctors tell their patients, 'You've got a lifelong condition. We know it's going to steadily get worse.' Then they turn around that their patients aren't losing weight or doing exercise, but they've given them this utterly depressing message," he says. Taylor's research finds that by losing 30 pounds or so, diabetes can be reversed in the early stages. Taylor prescribes a strict liquid diet and limited exercise — at first — as not to stimulate the appetite. People with Type 2 diabetes need to trim fat from the liver and pancreas. Ultimately, Taylor hopes nutrition will become the favored response to high blood sugar in the next decade. "I think the main headwinds are just conceptual ones of scientists and doctors believing this is an irreversible condition because of what we've seen," he says. The Wickhams are doing their part to add to the scientific data, tracking blood sugar in their participants. But their anecdotal evidence is resonating far beyond the Grundy County line. They've just sold their retirement home so they can say yes to all the invitations to present their program around the country. They're sharing stories about Grundy County residents like Wendy Norris, who says the prospect of turning back Type 2 diabetes is plenty of motivation for her. "I felt like I was stuck having to take three or four shots a day the rest of my life," she says. "I've got it down to one already." Sodas have long been blamed for contributing to America's growing waistlines and related diabetes problem. But in some parts of Tennessee, it's not just sodas. Specifically, it's Sun Drop. Tennessee’s top health official is sounding the alarm on Type 2 Diabetes. And his proposed solution is aimed at societal change. Across the nation, hospitals are paying fines to the government when patients are readmitted to the hospital within 30 days. That can cost medical centers millions and doctors are looking for ways to reduce that readmission rate. 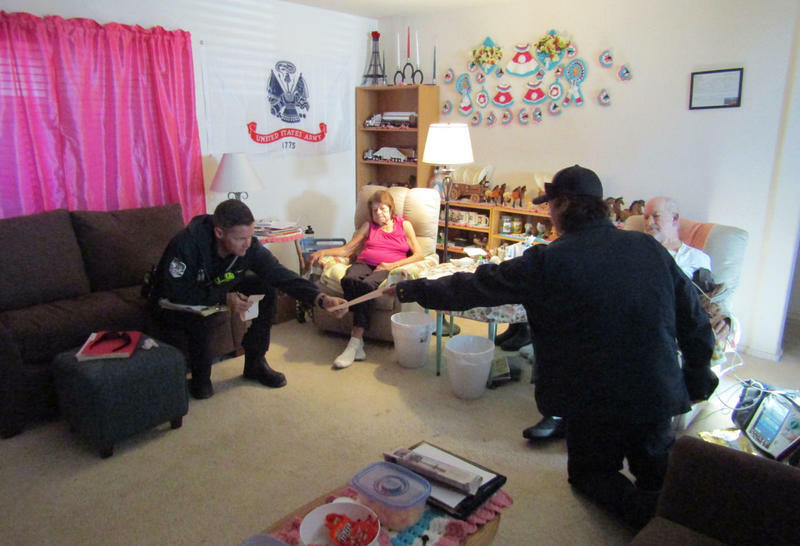 As Casey Kuhn from Here & Now contributor KJZZ reports, one rural city in Arizona has kept patients out of the hospital by sending paramedics to their homes.